Suzanne Adair. Camp Follower. [United States: CreateSpace], 2008. At age seventeen in 1768, lowborn Helen Grey was sold in marriage to an old, corpulent merchant bound for the Americas. Her saving grace was her disgusting husband’s educated assistant, Jonathan Quill, who had to play Pygmalion to her Galatea in order to make Helen presentable for the aristocracy in the colonies. 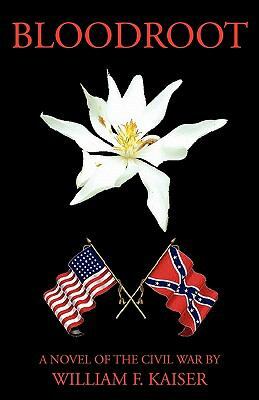 Now, twelve years later and nine years widowed, Helen is fighting to survive in wartime Wilmington, North Carolina. After her husband’s demise in a duel, his monetary estate mysteriously vanished, leaving Helen near penniless. She now ekes out a meager existence taking in embroidery work for wealthy ladies and writing a small society column in a Loyalist magazine. 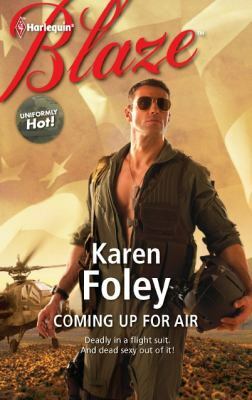 Then Helen’s editor comes to her with a proposition: if she poses as the sister of a British officer in His Majesty’s Seventeenth Light Dragoons, Helen could get close to Britain’s hero of the hour, Colonel Banastre Tarleton, and write a hard-to-acquire feature. Colonel Tarleton doesn’t approve of journalists, so Helen’s mission would be completely covert. But there is more beneath the surface of this apparently simple mission than meets the eye, and soon Helen is up to her neck in danger, intrigue, colonial spy rings, and the attentions of three separate men, one of whom is supposed to be posing as her brother. Traveling through a wild back country overrun with rebels, it’s possible that Helen’s greatest danger lies in the men supposedly protecting her best interests. Set in both North and South Carolina and concluding with the tactically decisive Battle of Cowpens, this romantic historical thriller combines an exciting time in the history of the United States with lots of imagination. Jimmy C. Waters. The Bender Legacy. Toccoa, GA: Currahee Books, 2011. The story of the Bender Family, begun in Waters’s New Bern: 1710 in the Carolinas, continues in this account of the Civil War in and around the family’s hometown of New Bern, North Carolina. Since Martin Bender built the family plantation in the 18th century, life has been good for the Benders- they have become successful cotton farmers and dry goods merchants. 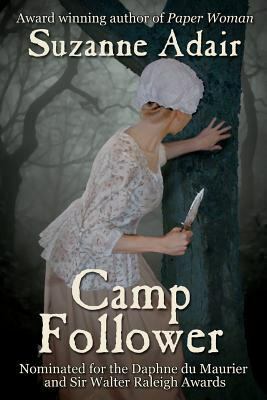 This novel begins in 1854 at the deathbed of John Knox Bender, the current Bender patriarch, as he instructs his sons in a shocking legacy passed down from father to son since Martin’s time. John Knox’s three sons, Philemon, Bryan, and Jake, are as different as can be: Philemon, the eldest, is boisterous and commanding, while Bryan, the middle son, is a quiet, bookish young man with a crippled arm. Jake, the youngest, is the sharply intelligent first mate on a ship transporting cotton to Britain. Although each reacts differently to their father’s surprising command, they all agree to honor his wish and keep the family legacy. Soon, though, they will be tested. The dying John Knox Bender foresees what none of the rest can imagine: war will strike the South in just six short years. As the three sons scatter to the winds in an attempt to defend their homes and homeland, we accompany them to witness the war in different places: from the trenches on battlefields, through the eyes of a blockade runner out to sea, and where the conflict was perhaps the most brutal: on the farms and homesteads of Southern families. As these young men and their compatriots fight for their lives and for everything else they hold dear, some will emerge from the conflict, while others will fall. Half history and half historical fiction, Jimmy C. Waters weaves statistics, facts, and a plethora of imaginary characters together in this stirring sequel to New Bern. Witness every battle that took place during the War Between the States in North Carolina, on the front lines with the brothers Bender. Filed under 2010-2019, 2011, Coast, Craven, Historical, Waters, Jimmy C.
Suzetta Perkins. Betrayed. Silver Spring, MD: Strebor Books, 2011. When her daughter Afrika insists on attending North Carolina Central University, Mimi Bailey feels she has no choice but to move back to Durham, North Carolina to support her daughter. Mimi also attended NCCU, but only for her freshman year, before she abruptly transferred away. The cause of this was her best friend Brenda’s vicious, controlling boyfriend, Victor, who raped Mimi right before becoming engaged to Brenda. Mimi quickly married her next boyfriend, military man Raphael Bailey, and together they raised Afrika in a happy family in far-off Kansas. But then Raphael is deployed overseas, and Afrika enrolls as a freshman at Mimi’s old school. Now Mimi is back where she hoped never to return, and by freak coincidence, her Afrika has befriended another NCCU freshman who could almost be her twin…a young lady named Asia Christianson. The two are inseparable, and often mistaken for sisters by those who don’t know them. Mimi is horrified to find out that Asia’s parents Victor and Brenda Christianson, whom she hoped to never see again, are living and working in the Triangle. Worst of all, Victor is the Director of Admissions at NCCU. He quickly discovers Afrika’s existence and true identity, which leads him to Mimi. He is extremely anxious that his true nature, that of a repeat adulterer, remain a secret. 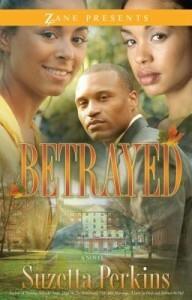 Mimi’s presence endangers this, so he threatens her with drastic consequences if she and her daughter remain in Durham. But Mimi is done running, and finished keeping secrets. Unfortunately, the secrets she holds, combined with Victor’s violent nature, mean that many lives could be lost or ruined once Mimi tells. As is often the case, the children are the ones who will suffer the consequences of their parents’ actions. Check the availability of this title in the UNC-Chapel Hill Library catalog. Roy Irwin Gift. Moon Blue. [United States]: Spirit Books, 2011. Sergeant Holly Rollins comes home to Raleigh, North Carolina in the spring of 1943 to recover from the bloody carnage he experienced on Guadalcanal. With him he brings malaria and a lung fungus, a load of shrapnel embedded in his back, and a mind tormented by the horrors of fighting the Japanese. His hometown hails him as a hero, he’s given a medal of honor, and the mayor asks Holly to ride next to him in a victory parade, but that doesn’t change the fact that Holly’s best friend since childhood and comrade-in-arms, Powell Reddy, is buried in a swamp back on that island. 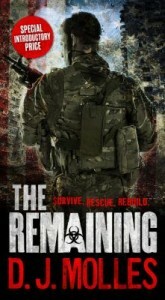 Sergeant Rollins needs time and space to heal wounds both physical and mental. Unfortunately, Raleigh in 1943 isn’t a peaceful place for healing. 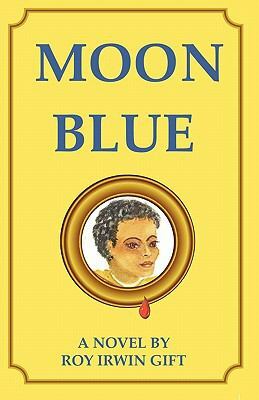 LaBelle Blue, the black woman who raised Holly, needs him to investigate the murder of her granddaughter Lana, and bring justice to her killer. This is no easy task in a time of such rampant disregard for the life of a young, poor, black girl, but LaBelle wants to bury her grandchild, so Holly goes looking. As he investigates, the young sergeant turns up old friends, enemies, lovers, and many memories. Angered by the racism and segregation that frustrate his attempts to discover the murderer, Holly quickly becomes entangled in the events surrounding Lana’s death, which encompass more than he could imagine. A. L. Provost. 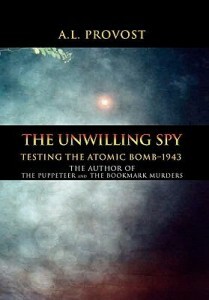 The Unwilling Spy. New York: Xlibris, 2011. It is 1943, and the atomic arms race is on. In Los Alamos, New Mexico, physicists labor night and day to develop the first atomic bomb … and nearby German spies observe them. In this fictional account of espionage and murder, German, American, and British agents are embroiled in a battle of wits to uncover scientific secrets first, before the enemy has a chance to gain the advantage. The tale begins in Santa Fe with Gunter Fleiss, cleverly disguised as all-American Bill Wilson. When he and his attractive co-conspirator, Marla Hawkins, discover the location of a bomb test-site near Camp Lejeune, North Carolina, they get word to the Fuhrer as quickly as possible. The Nazi network in America works overtime to set up an attractive, female German spy who will meet a German expert in Camp Lejeune to ferret out the secrets of the bomb. But these observers are not themselves unobserved. The FBI gets wind of their plan, and dispatches their own attractive, female German-American counter-agent to North Carolina. The Fuhrer decides to send trusted SS Colonel Max Reiner on this dangerous North Carolinian mission, but there is one problem: Colonel Reiner doesn’t know the first thing about atomic physics, and the powers of the beautiful German spy lie in chemistry of another kind. The Fuhrer is forced to send along an expert in atomic physics. When physicist Hans Richter is chosen, he has no desire to go. His father was murdered by an SS officer, and Richter abhors the Nazi Party. Ever since that tragedy, Hans has been biding his time for revenge, and what better revenge than using this opportunity to sabotage the Fuhrer’s plans? Patti O’Donoghue. Celia: The Adventures and Misadventures of Two Misplaced Southern Girls. Bloomington, IN: AuthorHouse, 2006. Celia Stanhope loved her life at Stanhope Mill. She swam and canoed on the lake with her parents, learned how to take newspaper-worthy pictures with her camera, and danced with her father at her parents’ frequent, lavish parties. But when Celia’s parents died in a plane crash, everything changed. Now she’s under the guardianship of her aunt Anita, a military officer who called Celia “a frizzy-haired ball of arrogant petulance” and who tried to auction off Celia’s camera and canoe at the Stanhope Mill estate sale. As if that weren’t bad enough, she’s taking Celia away from North Carolina to live with her at Ramstein Air Force Base in Germany! Life at the base improves once Celia befriends rebellious Goldie O’Brien, but their escapades get Celia into serious trouble with her aunt. Celia’s forbidden friendship and struggles to live with her strict aunt make for engaging reading in this first novel of the Stanhope Trilogy.